Is Your Child Using A VPN To Get Around Parental Controls? A friend of mine recently told me that her son had sent a request through her parental control app to unblock an app called XVPN. She wanted my advice on the matter, being the tech expert that I am. I didn’t even have to look it up, even though I wasn’t familiar with the app, before I told her that would be a big NOPE from me. The name of the app told me everything I needed to know. The app was a VPN tool. For those unfamiliar, a VPN is a virtual private network. Back in the early days of my IT career, we would set up VPNs for businesses so their employees could work remotely. When the employee had work that needed to be done they would connect to the VPN. The connection would make the computer act like it was on the business’ network, meaning they could now access files and databases and programs just like they were sitting at their desk in the office. Since it’s such a useful tool for businesses, why would it be such a bad thing for your kids? First, if you have any sort of parental controls set up on your home network, like a device that filters content or gives you reports or allows you to pause the internet inside your home, when your child connects to a VPN they are essentially taking themselves out of your protected network and opens up the rest of the internet for their own use. My friend’s son explained that the reason he wanted the app was to allow him a better connection when he is playing games during free time at school. Again, what he really wanted to do was use the school’s wifi, without the restrictions placed on his device through the school’s wifi. This opens his device up to be free of content restrictions placed upon him and can allow him to access anything. Once I explained to my friend what it was, I told her she gets to be the mean mom once again. Mean moms of the world unite! Her son, of course, mentioned that ALL of his friends were allowed to download the app, and he will be the only one who can’t play Fortnite during free time at school. Sometimes that is just the price you pay to protect your kids. If all of those parents could do a little bit of research into the apps their children are downloading, we wouldn’t have to be the mean moms anymore! Don’t just take your child’s word for it when they explain why they want to install a specific application. Do your own research, ask a friend, visit our blog here at Boomerang, and inform yourself! Applications like this are some of the very reasons I recommend multiple layers to your parental controls. 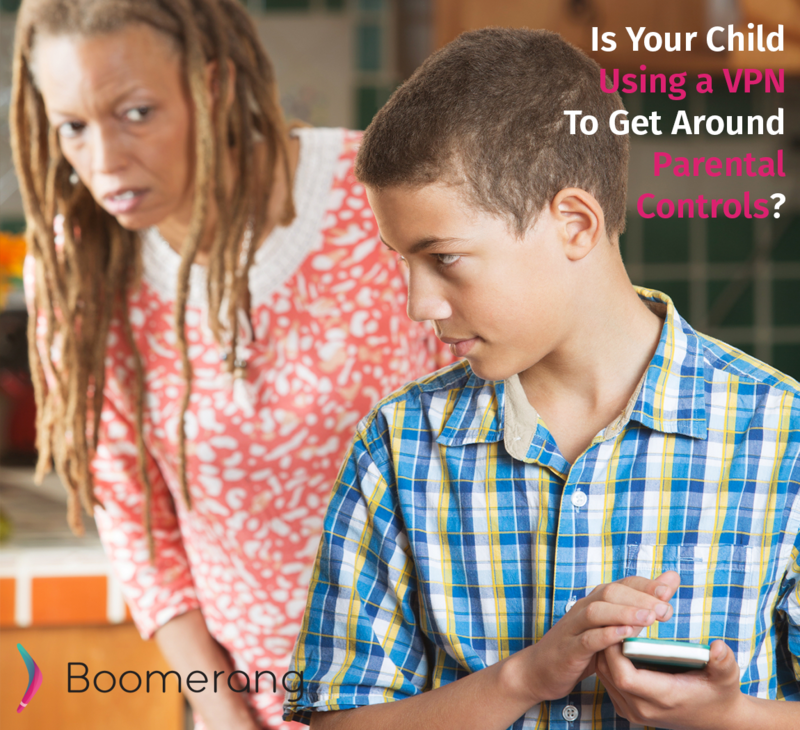 When your children try to circumvent the controls you have placed on your home network, the parental control app on their phone, like Boomerang, can pick up the slack and enforce your rules as well.